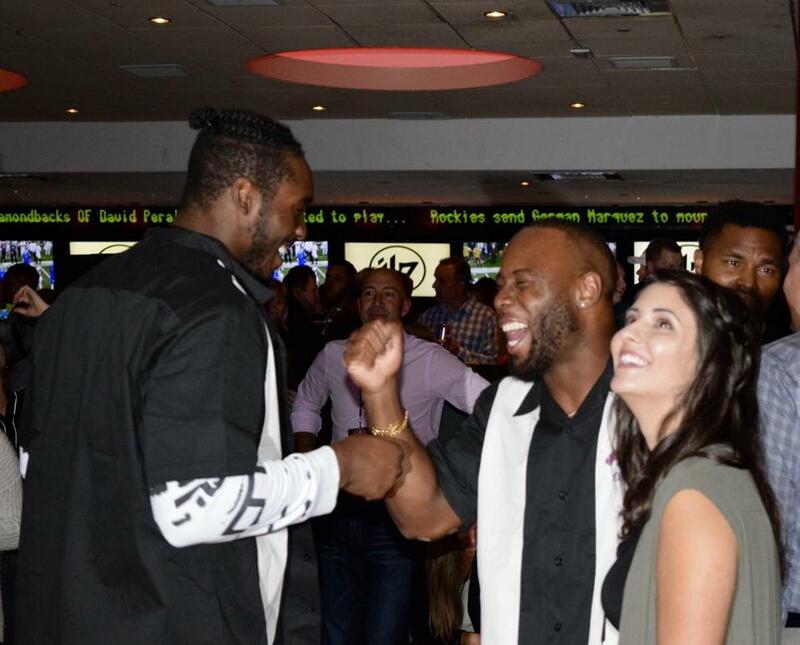 Patriots running back James White hosted his ninth annual Sweet Feet for Strikes bowling tournament and fund-raiser with his wife, Diana, Monday night, drawing a throng of friends and fans to Kings in Dedham. The star-studded event, a benefit for Boston Medical Center, included several Patriots team members, including defensive end Geneo Grissom, wide receiver Phillip Dorsett, long snapper Joe Cardona, and linebacker Kyle Van Noy. Also in the house was former Patriot Jerod Mayo. White’s 2017 Sweet Feet for Strikes event raised more than $400,000. Hayley Kaufman can be reached at hayley.kaufman@globe.com.